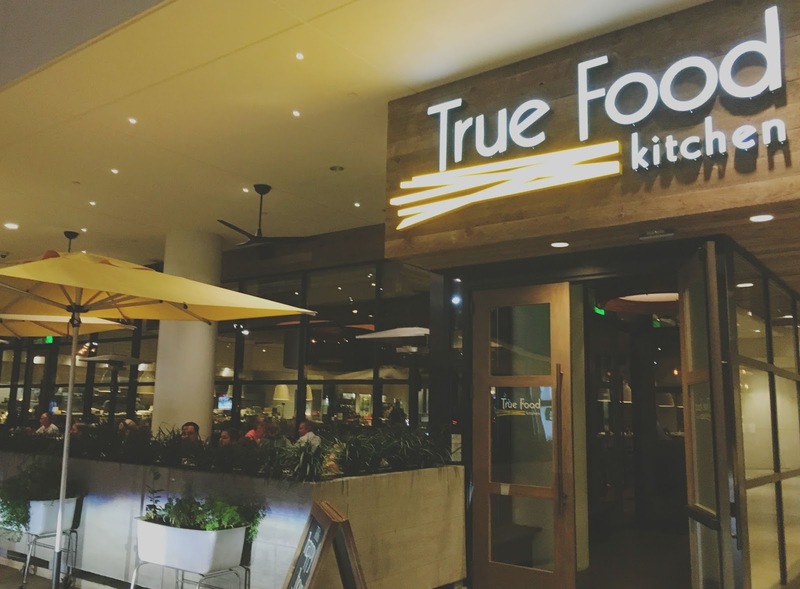 Last week my friend Kate and I ventured outside of our Houston Heights bubble to have dinner at True Food Kitchen, a restaurant located in Houston's Galleria area. True Food Kitchen came highly recommended to me from Jon's coworker Vicky, so I was pumped to try it out! 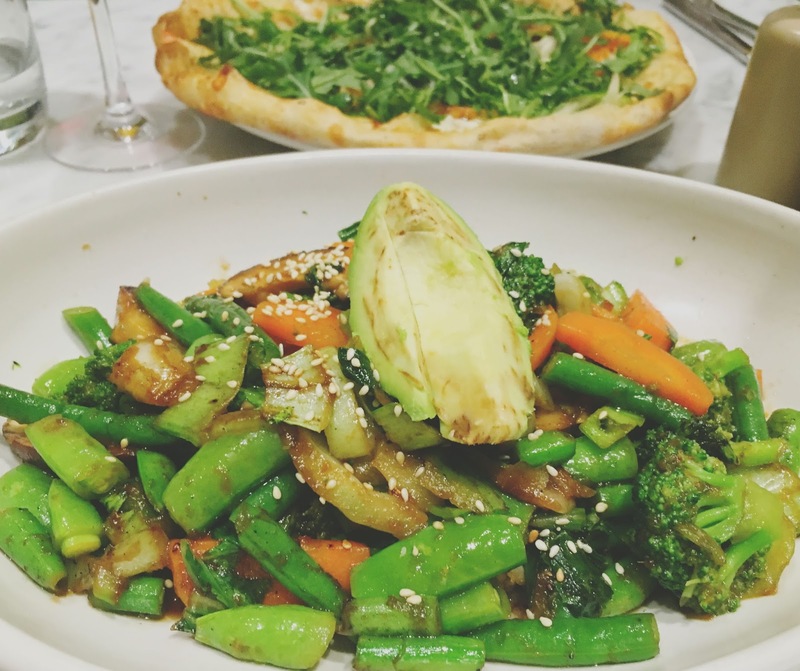 The restaurant's menu is full of "honest food that tastes really good": fresh ingredients and vegan/vegetarian/gluten-free options, as well as thoughtfully prepared meat-centered, dishes. After ordering some wine (a crisp glass of Pedernales Cellars voignier for me, and a red blend from the Rhône Valley for Kate), we decided to share the shiitake & organic tofu lettuce cups as our appetizer. I know the words "shiitake & organic tofu lettuce cups" may induce eye rolls, and it all may sound the opposite of delicious. I get that. But I am happy to report that I've seen the other side, and the other side is GOOD! Have you ever had the lettuce wraps at P.F. Chang's? If you have, you're probably just as obsessed with them as I am. Well, imagine P.F. 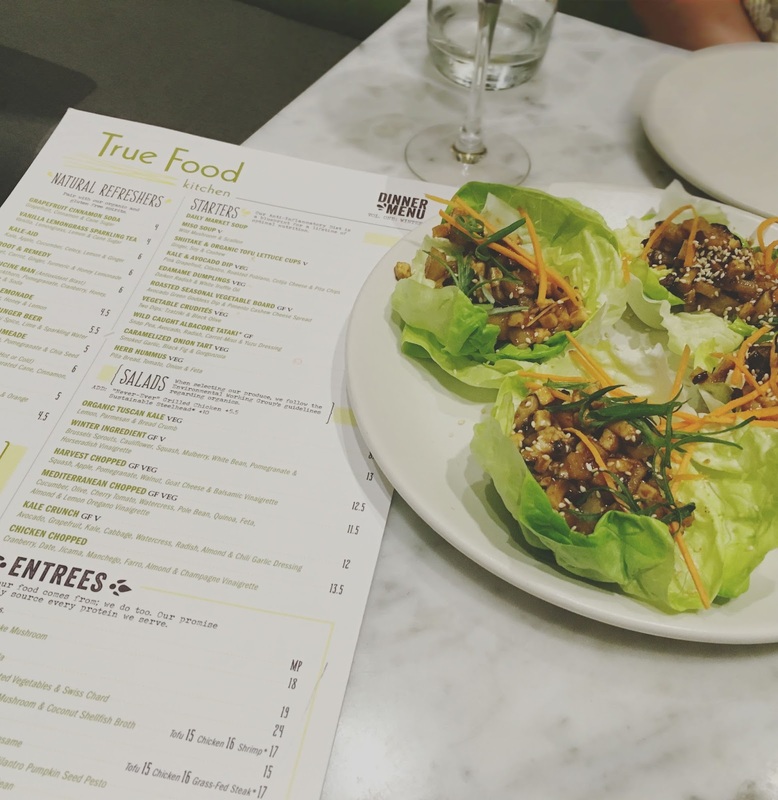 Chang's lettuce wraps, but even more magnificent, and I present to you the lettuce wraps at True Food Kitchen! Topped off with carrots and sesame seeds, the small crispy cubes of tofu and mushrooms were marinated in a ginger, soy, and cashew baste. The result was sweet, light, fresh, and lovely! For my entree, I ordered the restaurant's teriyaki bowl, without any added protein, since I'd already had tofu. And once again, I was a pretty happy camper! The teriyaki bowl contained shiitake mushrooms, broccoli, carrots, snap peas, onions, brown rice, and quinoa, and was topped off with half an avocado and sesame seeds. The syrupy teriyaki sauce was sweet and gingery, but not overpowering, and the vegetables were crisp and fresh. The avocado added a wonderful creaminess when stirred in, and I loved the inclusion of both brown rice and quinoa, which gave the meal more contrast and depth (and protein!). This was a fantastic dish. Kate ordered the restaurant's butternut squash pizza, which was topped off with walnuts, smoked mozzarella, sweet onions, and arugula, and she absolutely loved it as well! 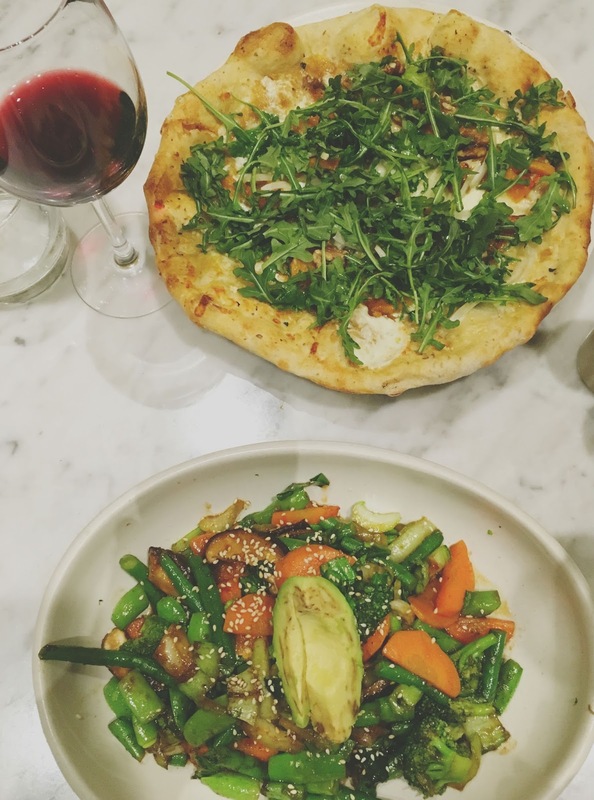 Even though True Food Kitchen is a national chain, what I ate that night was fresh, authentic, healthy, and delicious, and it had a very local feel. The restaurant is open and sleek, and the patio (which we were able to enjoy that evening) is a treat. Even though the food is healthy, it is definitely approachable and DEFINITELY delicious. 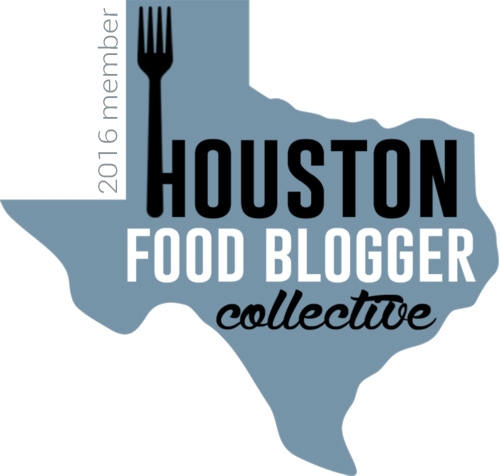 True Food Kitchen should be more than just a blip on your Houston restaurant radar! Being good never felt so right.